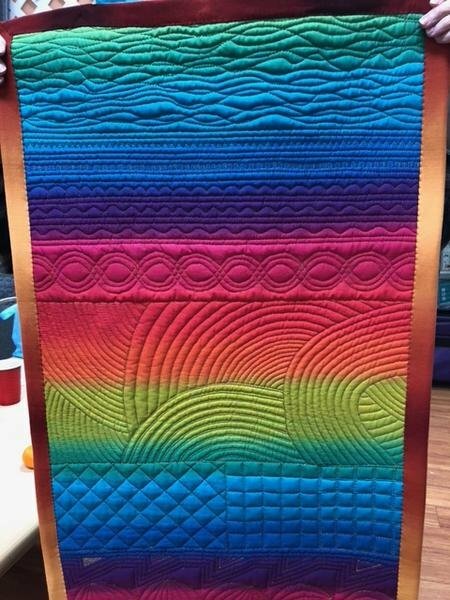 Your forgotten quilt top can turn out to be a wonderful edition to your collection and be a present for somebody else. Yes, there are many other options for quilting other than “quilting in the ditch” or free motion quilting. This course is for you if you do not know or do not want to FMQ. It’s fun and beautiful! Your options are endless. We will learn and practice quilting. Please pick up list of necessary supplies for this class. This is hands on class but not the lecture.